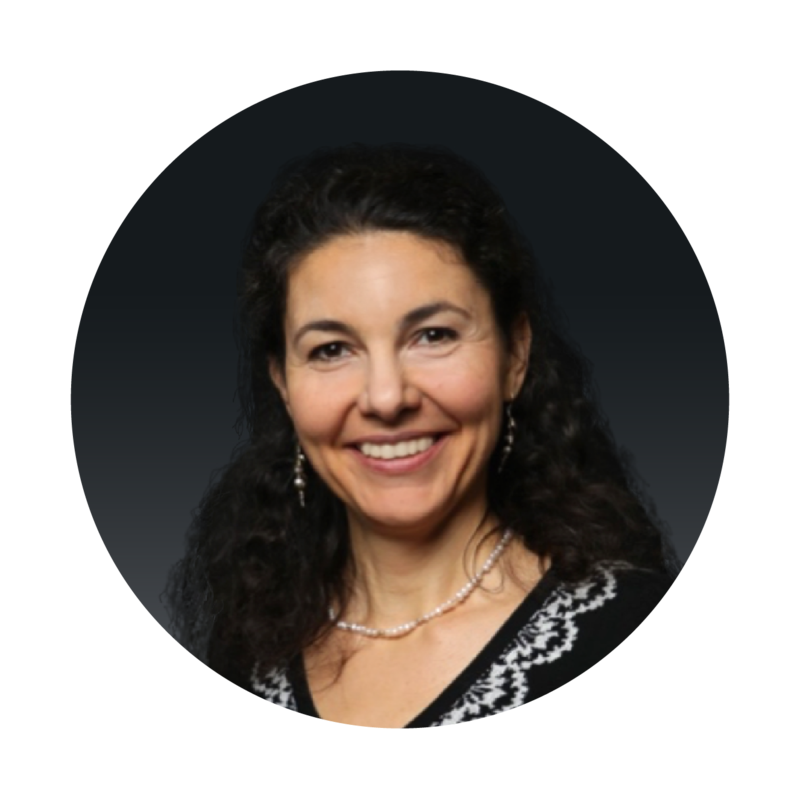 With over 19 years of experience, Rose Raizman leads the Save Our Skin (SOS) team at Scarborough & Rouge Hospital located in Toronto, Canada, to combat pressure ulcers of hospital inpatients. She also oversees the wound care clinic for inpatients and outpatients. Patient Condition: 57 year old male patient delayed seeking treatment for a diabetic foot ulcer on his left toe for more than 2 months. 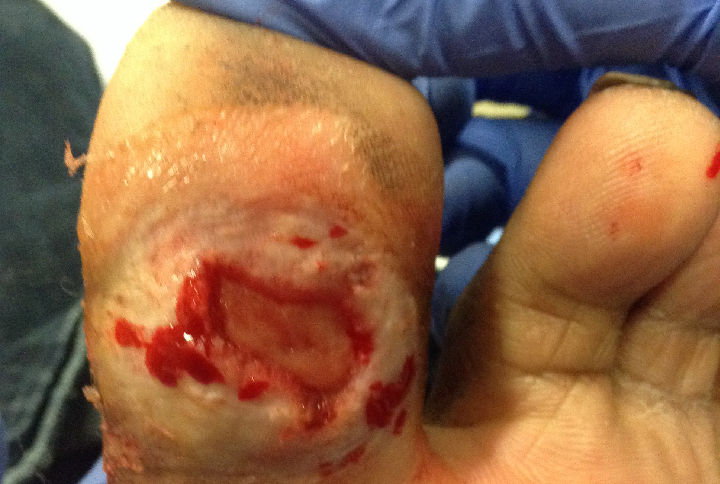 Some challenges with this wound included rapid callus build-up, improper footwear, delayed treatment, and a lack of offloading. 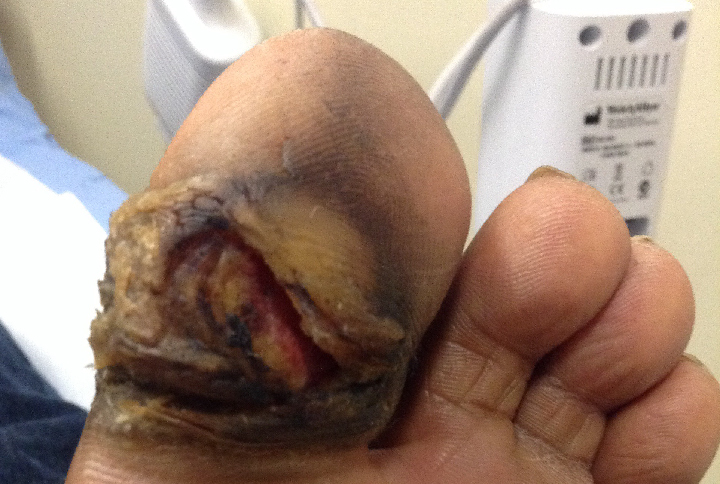 This patient treated their diabetic foot ulcer with an over-the-counter antibiotic ointment for two months prior to seeking treatment from a wound care practitioner. This patient’s lack of understanding of his condition, improper footwear, and delay of treatment were likely factors that led to infection. 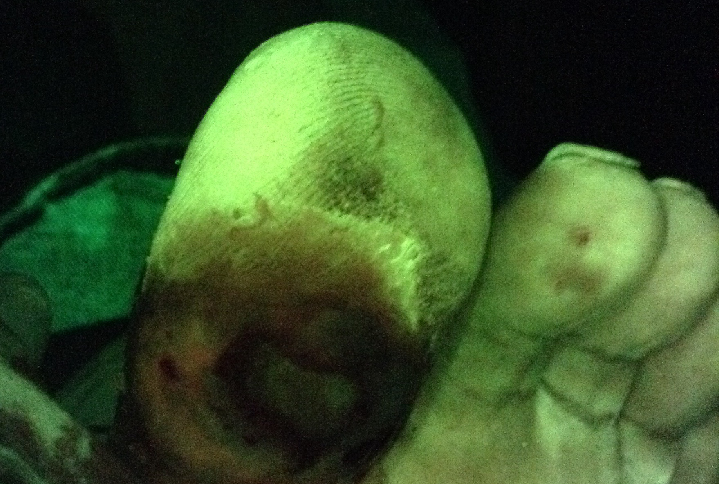 Pre-debridement, the clinician observed no red fluorescing bacteria (Figure 2). However, after debridement, the images revealed red fluorescence (Figure 4), indicating that there were indeed bacteria present in the wound. The clinician then continued to debride using MolecuLight i:X guidance until the red fluorescing bacteria were no longer detected (Figure 6). 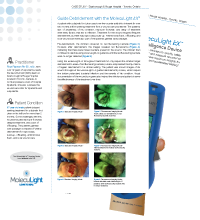 Using the MolecuLight i:X throughout treatment not only helped the clinician target debridement to areas of red fluorescing bacteria, but also emphasized the importance of regular debridement in a clinical setting. 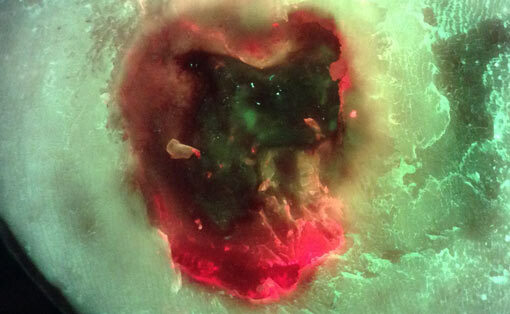 The patient was shown images of his wound throughout the MolecuLight i:X guided debridement process, the simple image color scheme (green = tissue, red = bacteria), helped him better understand bacterial infection and the severity of his condition. Visual documentation of the wound’s progress also helped the clinician and patient observe the effectiveness of the treatment over time. 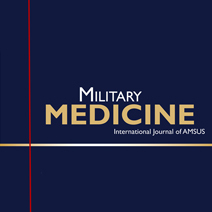 International Best Practice: Wound Management in DFUs. Wounds International, 2013. 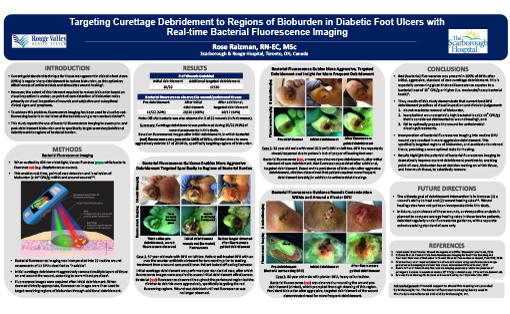 Raizman R. Targeting curettage debridement to regions of bioburden in diabetic foot ulcers with real-time bacterial fluorescence imaging. Presented at: CAWC 2017. Proceedings of the Annual Canadian Association of Wound Care Conference; 2017 Nov 16-19, Mississauga, ON, Canada. Download the PDF of this case study. It's Free!